We are hiring eligible F-1 students to provide valuable work experience through employment and enhance job skills by giving specialized role-based IT training to get themselves headhunted. Join us now, and have a challenging career in our continuing growth. 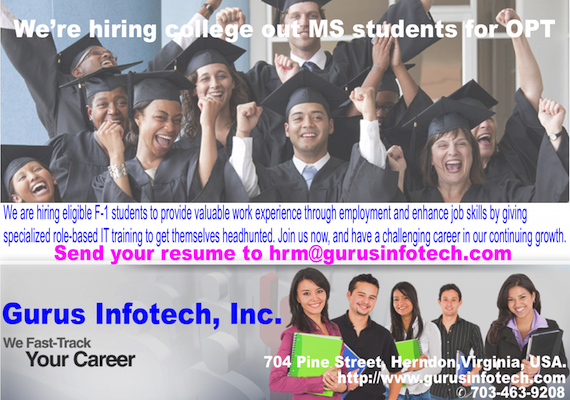 Please send your resume and cover letter to hrm@gurusinfotech.com and we will get back to you soon.